The ideal solution for dogs that enjoy outdoor pursuits such as beach walking and muddy forest trails. 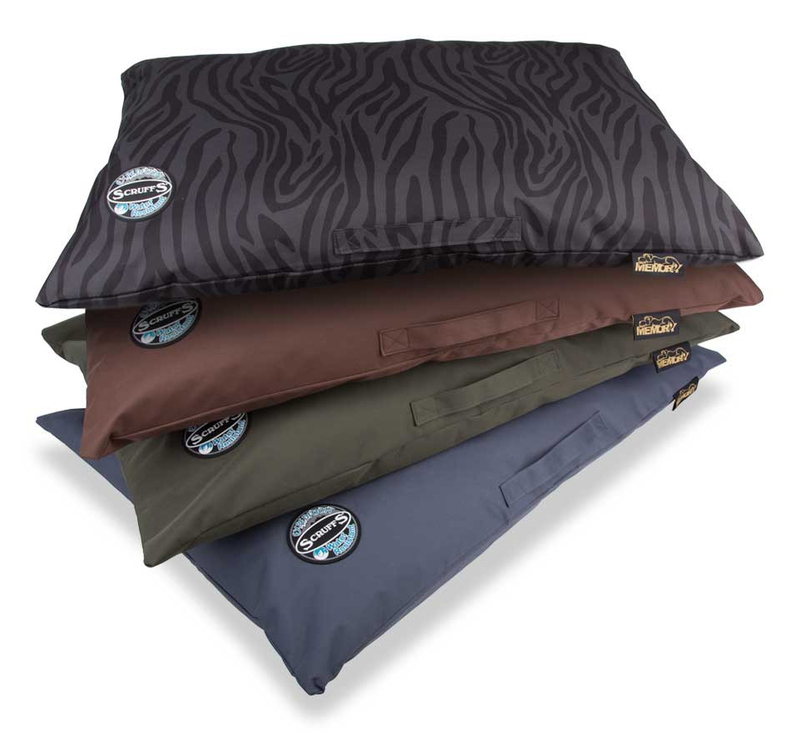 Produced using a heavy duty, 600 denier fabric, providing a robust, durable outer cover. A silver technology treatment is used to treat the top surface of the fabric, resulting in a 99.9% reduction of bacteria within 24 hours. The reverse side of the fabric is coated with a 100% water resistant backing to prevent the ingress of water. The same backing is applied to the bed's non-slip base. Filled with crumb memory foam, the dense particles mould to the dog's shape achieving an ultimate level of support. Medium size is 100 x 70cm and large 120 x 80cm. 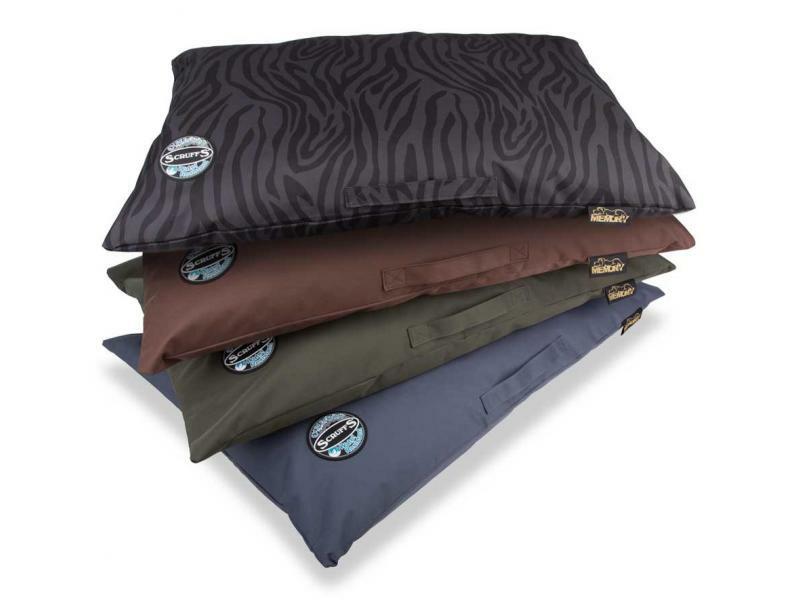 Below are some recent questions we've received regarding Scruffs Expedition Memory Foam Orthopaedic Pillow, including answers from our team. Depending on the size you are looking for they are between 5 and 6 kg.